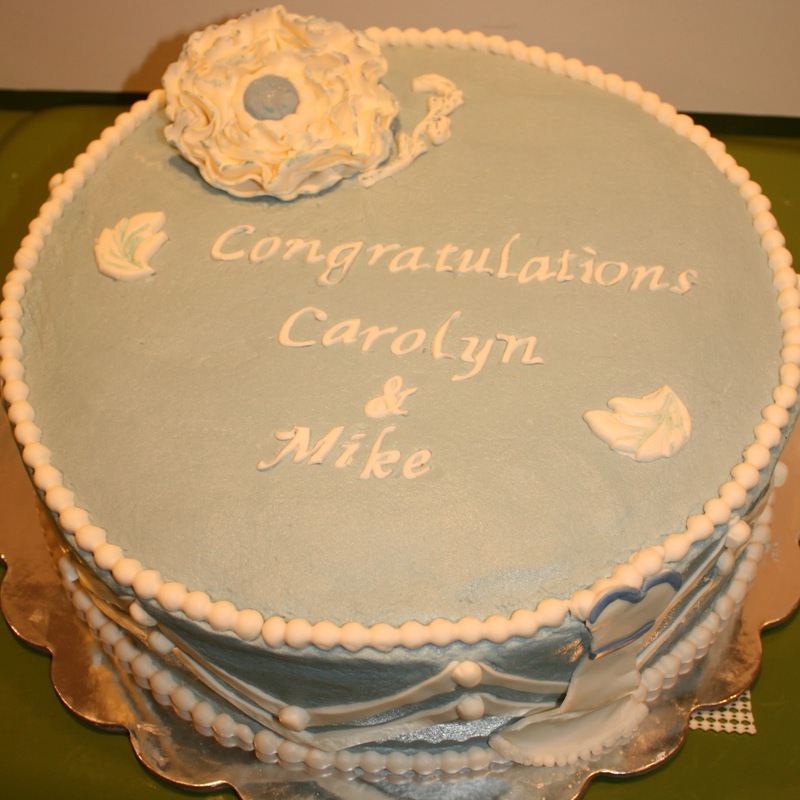 This bridal shower cake was made to match the save the date for this couple's wedding. I included the chevron striped pattern on the sides of the cake and added a flower brooch and bridal gown. 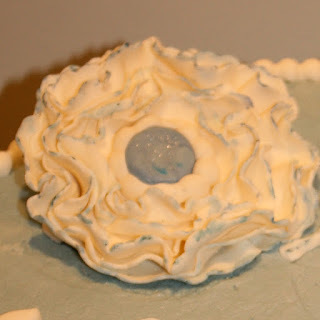 The cake was marble with buttercream filling. 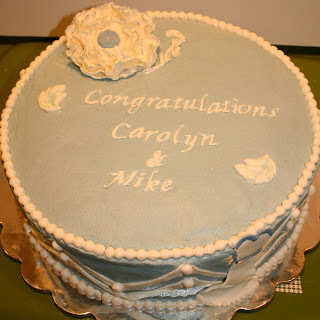 Congrats Carolyn and Mike!